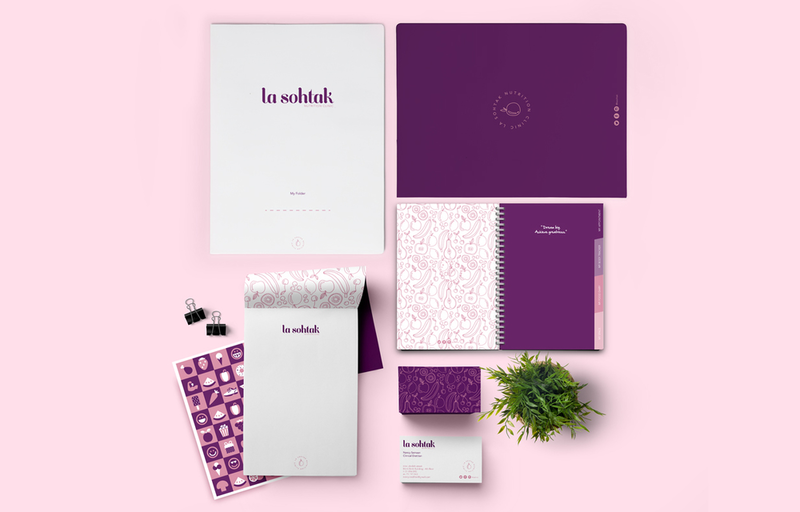 La Sohtak is a mix of French and Arabic, which means: Your Health. This nutrition clinic specializes in the use of plums. The color palette has been chosen in accordance with La Sohtak's confident approach which contributes to healthy lifestyles for all.